Honda Motorcycle and Scooter India (HMSI) have officially commenced bookings of the new CB300R in India. Interested buyers can book by paying a minimum amount of Rs 5,000. Bookings can only be made at select Honda dealerships. While the Japanese bike maker hasn’t announced the official launch date as yet, we expect it to be before the financial year ends in March. The CB300R gets its ‘Neo Sports cafe’ design inspiration from the larger 2019 CB1000R. The motorcycle sports a muscular design with retro design elements like the round headlamps. The larger tank is neatly crafter and the flat handlebar should result in a comfortable riding posture. Behind the handlebar, the CB300R comes with a fully digital instrument cluster with a tachometer, speedometer, gear position indicator and more. While the front sports a bulkier design, the rear is rather minimalistic. At the heart, the CB300R comes with a 286cc single-cylinder liquid-cooled motor. While there is no official confirmation as yet, the bike that is on sale in the UK pushes out 31.4bhp and 27.5Nm. 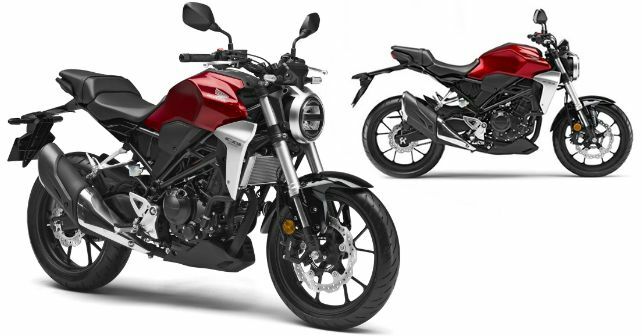 The CB300R will also get ABS as standard, in line with the upcoming mandate. Stopping power comes from a 296mm disc at the front and a 220mm one at the back. Suspension duties are performed by 41mm upside down forks and a monoshock at the rear. The Honda CB300R will come to India with two colour options to start with – a metallic grey and red. At the price that it is expected to be launched, the Honda CB300R will compete against the likes of the Royal Enfield Interceptor and the KTM 390 Duke.